We are reaching the end of an era in Australian automotive history, as Ford have decided to put an end to producing cars in Oz. Ford vehicles will still be available for purchase, but what consumers will be getting are cars that are made somewhere else and shipped in. Perhaps the most distressing thing for Australian car lovers is that the Ford Falcon turbo models will head off into the sunset. This is a model that has become something of an icon in Australia, with the latest version being perhaps the best performance sedan ever to hit the streets. Ford first started thinking about delivering a quality turbo model back in the 1980’s, but it was really until the 2002 Falcon XR6 Turbo came around that they got close to perfecting it. The car was an instant hit, as it delivered a real jolt of power, and was a big car that just felt great to drive. With each passing year, Ford continued to deliver an XR6 that was better than the last, but that’s not to say that those first models weren’t great in their own right. In fact, with the Falcon now set to become a thing of the past, interest in the older models is at an all-time high. 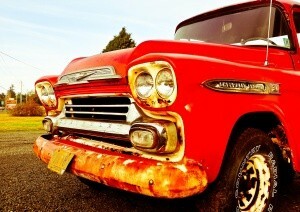 As is the case with any used vehicle, you really have to be wary about what you are getting into. The early models in particular are likely to have a few little problems that could turn into something big if you don’t get them checked out. This is particularly true if you are investing in an XR6 that has more than 150,000km on the odometer. The cooling on the turbo units has a tendency to fail once that threshold has been crossed, with leaking oil a sure sign that something is about to give. Another thing to watch out for is the brakes, which is actually something that applies to just about every single Ford model. Brakes have always been their Achilles heel, and should be the first thing you have checked out when you invest in a used Falcon XR6. Something that a lot of people pay little attention to, but which they really should, is rust. Rust protection was not at the top of the list when putting these older cars together, corrosion can quickly become an issue when you invest in an older model. The good news is that you can usually get an older model year Falcon XR6 for a very reasonable price, which means you should have some money left over to make any and all necessary repairs. 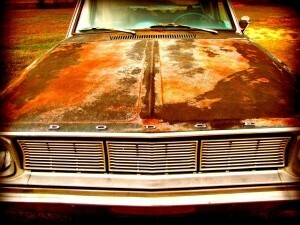 One of your cheapest, yet also most effective, fixes will be rust protection. We recommend using Rust Bullet, as it has proven to be a corrosion killer, and is even something that is used by the navy. If Rust Bullet is being used to prevent corrosion on seaworthy ships, just imagine the level of rust protection that it can deliver for your Ford Falcon.